All that Apurva wanted was to live a happily married life with the woman he loved the most, but what he didn't expect to face was a drastic and dangerous challenge on the first night of his honeymoon.He woke up the i rst morning and discovered his wife to be affected by something he didn't have any clue about.He was faced with two options, either leave her and save himself or stay and i nd a sol… ution. What will Apurva choose to do? 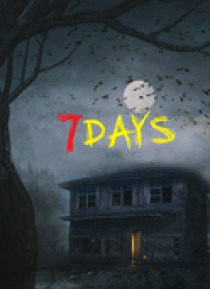 Will he be successful in his decision?7 days is a romantic, psychological thriller with paranormal element in it.